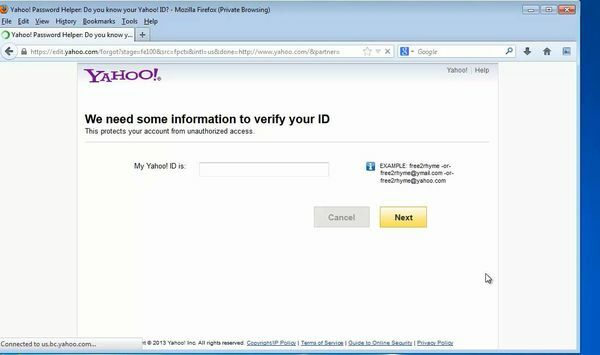 In this tutorial you will learn what to do if you forgot your password in Yahoo. 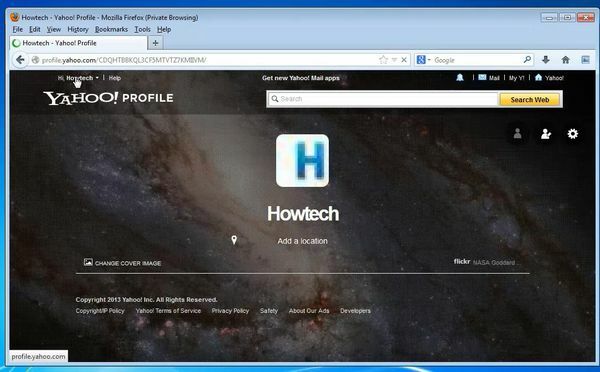 Prerequisites: Yahoo account, web browser, Internet. Step 2. Choose “Please sign in” from the upper side of the page. The familiar Yahoo login form appears. Step 3. Click on ‘I can’t access my account’. Yahoo offers you three scenarios. Since you forgot your password, we’ll choose ‘I have a problem with my password’. Click Next. Step 4. You will have to enter your Yahoo ID and complete the captcha system. Do so and click “Next”. 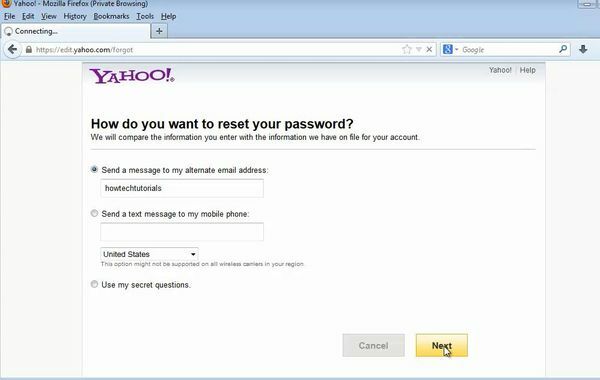 Step 5: Yahoo asks you how do you want your password to be reset: SMS text to your phone number (if you entered it), email to your mail address or secret questions. 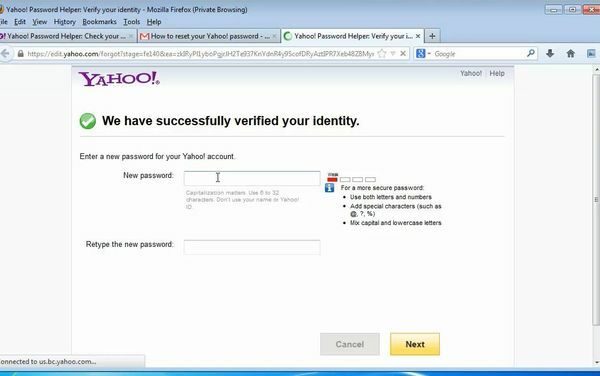 Step 6: Yahoo sends you password resetting instructions on your mail address. Let’s now log in to the mail account and see what they are. Go to your Inbox, open the email from Yahoo. Step 7: Click on the “Reset My Password” link. Yahoo asks you for a new password to be typed and re-typed. Make sure you incorporate letters and numbers into your password. Click Next. Result: You have now successfully reset your Yahoo password.